One of the biggest challenges about going away on vacation, for those of us who love to train, is the issue of working out. Do I attempt to train? Or do I take a "true vacation" and not work out for the duration of the time away? For many people, the prospect of missing just one workout is almost too much to bear. This seems to be especially true of runners and other distance athletes. Maybe it has something to do with the "runner's high" that has been widely commented on through the years. While I have no doubt that such a feeling exists, what about those of us who lift? Why hasn't anyone spoken of the feeling of accomplishment after completing a rigorous strength workout? For many runners and joggers, there is this fear that life as we know it will come to a screeching halt if they miss just one running session. Fortunately, for those of us who lift, the prospect of skipping a workout, as unpleasant as it may seem, does not signify the beginning of the end of the world. "Tomorrow is another day." 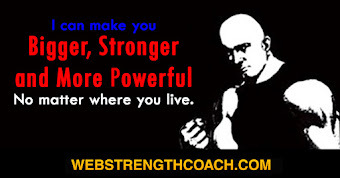 That is one of the great things about strength training. While runners may hate themselves for missing a trading session, lifters generally have a more forgiving nature. There is no need to beat yourself for missing a workout. In fact, there are times when it may be advantageous to take an extra day of rest. Or two. Lingering soreness, excessive fatigue, mental burn out are all valid reasons to take some time off from your workouts. Please note that I'm not talking about "blowing off" a workout because of plain, old laziness. Sometimes, you just have to simply get up and do it. Regardless of what life throws at you. On the other hand, if you have been making steady progress, and your training is going great, one of the most difficult things to do is to take some needed time off in order to prevent overtraining. So, here you are. Away from home ( and the gym.) And you want a challenging workout. If you are in a large city, you can always search for a local gym. There are still places that will charge a daily fee. While you might feel out if place in a strange gym, a good lifting environment will make you feel right at home. After all, a good Power Bar is like an old friend! But what if you're not in a major city, and there is no local gym nearby? There are ways to overcome this dilemma. One of my all-time favorite places to visit is Montauk, NY. It is located at the very end of Long Island's South Fork. It's known for beautiful beaches, incredible fishing, and scenic hotels. It's just a great place to visit, especially during the Summer months. This year, we visited during the first week in September. 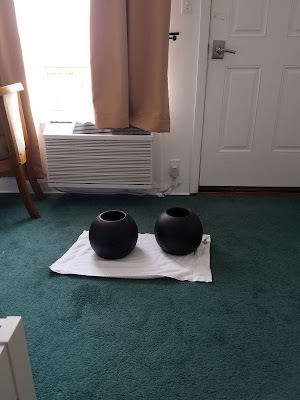 For the second year in a row, we stayed at the Ocean Resort Inn, a lovely motel just steps away from the Ocean. There are many interesting things to do, but one thing that I was determined to do was to get in a workout. To accomplish this, I would need to bring along my own equipment. As well as some imagination. Among the luggage that I packed were two 50 Lb. Center Mass Bells ( CMBs). They are made by Sorinex. They come in sizes up to 100 Lbs., and I'm happy to say that I have every size above 50 Lbs.. They are sort of a cross between a Dumbbell and a Kettlebell. Like everything else made by Sorinex, they are super-strong, and extremely useful. 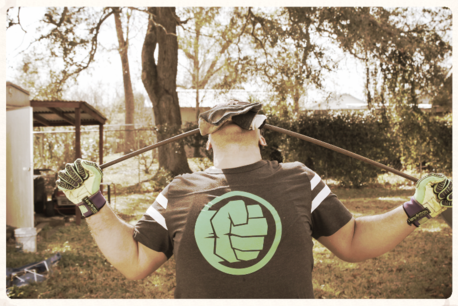 I've had them since they first came out, and I think that they are an awesome strength-training tool. I've always been a strong believer in heavy Dumbbell training. However, I've never been a big fan of using Kettlebells. I just never got caught up in the whole fad when it was popular about ten years ago. However, I really like using the CMBs. 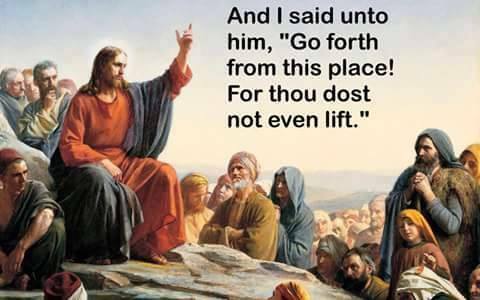 They can be used for Presses, Curls, Swings, Farmer's Walk. Just about anything you can do with Dumbbells, you can do with the CMBs, and they can easily be incorporated into any strength-training program. While this is not exactly a pure strength building workout, it combined elements of strength training along with the cardio effect of trying to complete the workout in as short a time as possible. Going from movement to movement, with no rest, is a challenge. About halfway through, I had to catch my breath for about one minute. I had done four consecutive Hearts for a total of over thirty curls, and I had to try to get some blood flowing again! Other than that, I had a surprisingly good workout. What made it even more challenging was trying to be extra careful and to let the CMBs down as gently as possible. I didn't want the guests in the room below to complain to the management! This quick, simple workout routine provided me with an effective workout. And, like most satisfying workouts, it was a great way to start the day. And while I wouldn't necessarily recommend traveling with DBs or CMBs, on the other hand, it's a helluva lot more convenient than strapping a Power Bar to the roof of a car! 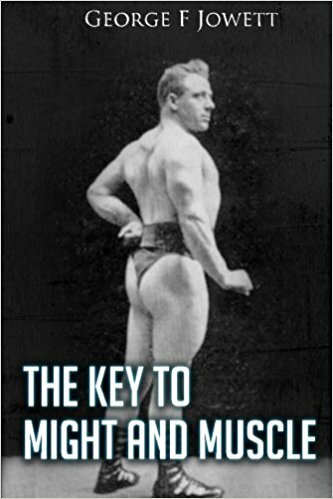 When I look at modern bodybuilding today I ask myself Where is the love? Nowadays you have champion bodybuilders who have compromised their health to such an extent they can no longer train either due to internal damage to their organs or damaged skeletal structure due to the unnatural weights their drug engorged muscles could hoist. It should be called bodybreaking rather than bodybuilding. On steroids they grow quickly and burnout and are unable to face the iron again. There is no love of training; simply a short lived quest for personal glory. 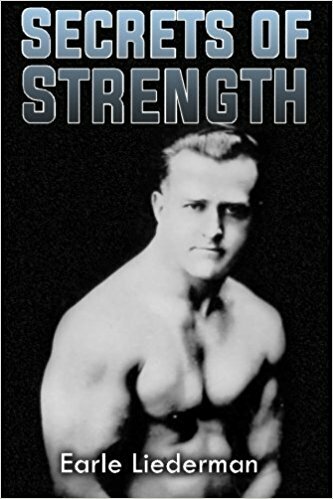 I have always been fascinated with Strength and Muscles and their acquisition. 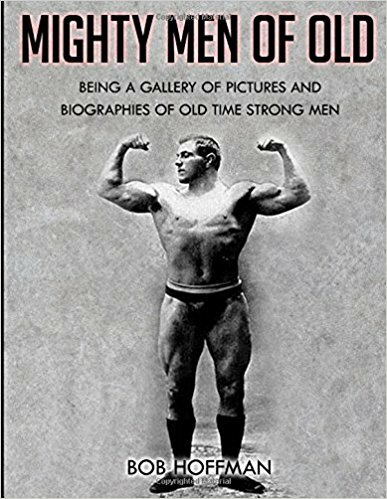 I read the typical Muscle & Fiction magazines but I particularly favoured Ironman which at the time was past the Peary Rader era but still had echoes of it’s glorious past. In these I first saw adverts for Brawn, and that led to me pursing real training for natural trainees. 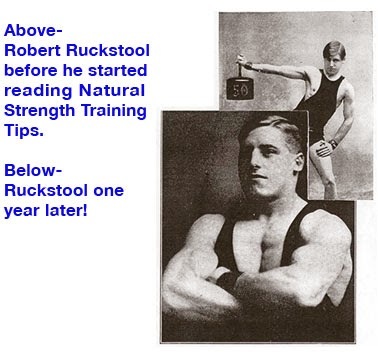 As the internet became readily available at home I would pursue Hard Training and HIT training information on the NaturalStrength.com and Cyberpump! websites. As a young inexperienced trainee, I would, in my enthusiasm, tend to get carried away with beyond failure methods and train far too frequently. Looking back, I know I overworked and should not have overloaded the bar once I had hit my rep target. These days I have reduced my workouts to once or twice a week and cleaned up my form, obtained smaller plates for micro loading and warm up much more than before. I do full body workouts and the best exercises to get the most ‘bang for my buck’, so a steady diet of Squats, Bench Presses, SLDL etc. I tend to use a mix of single progression and double progression, only increasing the weight once I have met the rep target on all the sets and that is where patience is both a virtue and a necessity. Now if you want to continue training then health must take priority, you must look after your internal organs and joints. 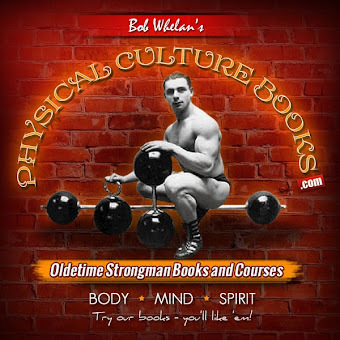 This is where modern bodybuilding differs from the real golden age where men were building rock solid internal health while strengthening their supporting structures through intelligent progressive weight training. Another benefit which has grown more and more important is the natural high you experience after a workout. I love that feeling of elation, calmness and clarity: it’s amazing and a God given gift for working hard. God willing, I want to continue to experience that feeling as I get into my fifties, sixties, seventies - my whole life. This is the love of training I’m talking about. 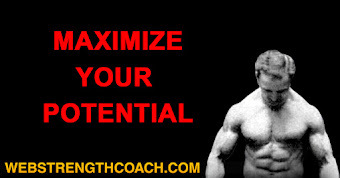 If you love training then train naturally for Health, Strength and Longevity.